Abstract: The ASUS M4A78T-E motherboard is built on AMDs 790GX integrated graphics processor and SB750 southbridge, supports HyperTransport 3.0 at 5200 MT/S and has a 128MB DDR3-1333 memory buffer built in just for the Radeon HD 3300 IGP. The blue PCI Express x16 slot supports videocards at x16 with full x16 lanes of PCI Express bandwidth. The black PCI Express x16 slot runs at x8 lanes. 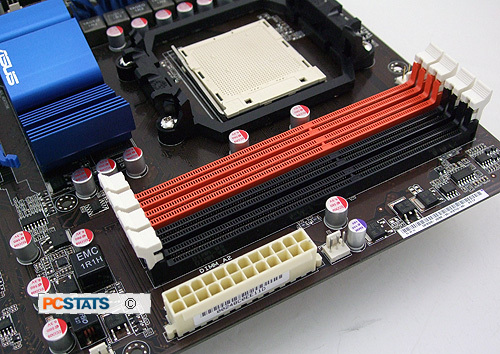 In Crossfire the blue and black PCI Express x16 slots will operate at x8/x8. Two PCI slots accommodate legacy peripherals. 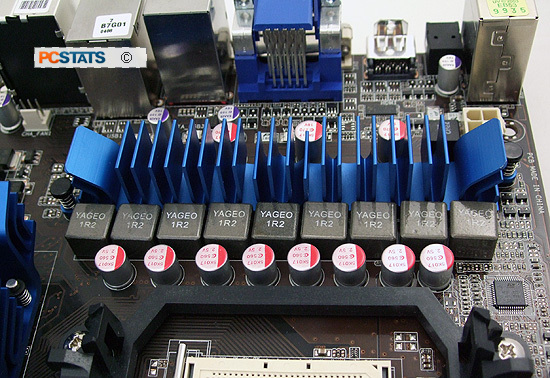 In the lower left corner of the ASUS M4A78T-E motherboard we find three USB2.0 headers, one Firewire and the front panel I/O connectors. Five SATAII jacks support RAID 0/1/5/10 and JBOD. 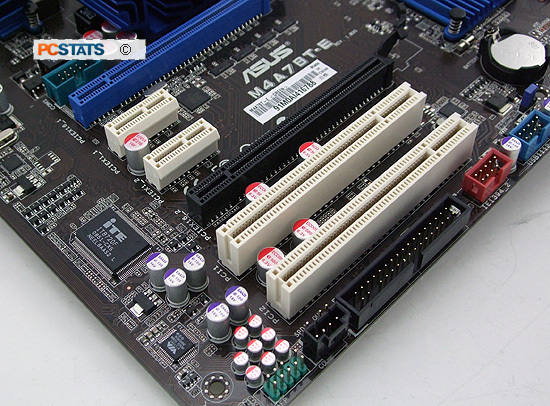 The ASUS M4A78T-E supports up to 4GB of DDR3-1066/1333MHz memory in four DIMMs, 16GB for 64-bit operating systems. 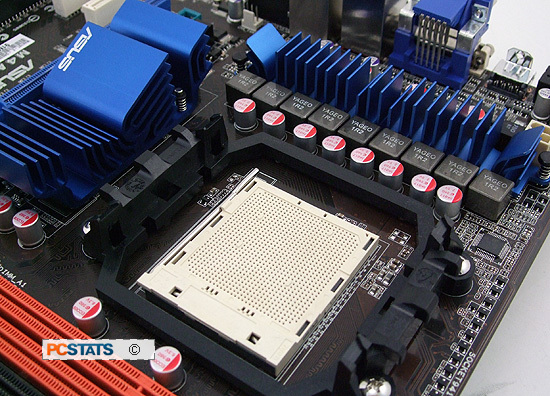 Memory can be overclocked to DDR3-1600MHz if the RAM will tolerate it. 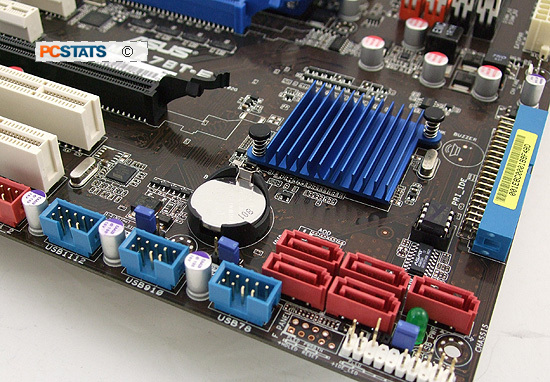 While the socket AM3 processor is backwards compatible with socket AM2+ motherboards, socket AM3 motherboards only support socket AM3 processors. Solid state polymer aluminum capacitors are used to ensure long term stability. Pg 5. AMD 790GX Chipset - Videocard or IGP? Pg 12. ASUS M4A78T-E- Is DDR3 The Better Path?